Coastal Drug Testing provides ETG alcohol testing for individuals needing to determine if a direct metabolite of alcohol is present in the system and if alcohol has been consumed within the last 80 hours. The ETG test is a urine test and is analyzed by a laboratory and the result is verified by a Medical Review Officer. 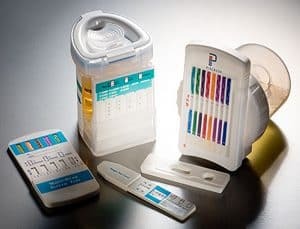 An ETG test can be ordered as a single test or can be analyzed in conjunction with other types of drug screens such as a 5 panel, 10 panel or 12 panel urine drug test. ETG tests are commonly used for individuals on court ordered probation, child custody proceedings and persons in a substance abuse treatment program. ETG test results can be sent to the donor or other authorized party such as an attorney, probation officer or the court. Scheduling a drug, alcohol or any testing service is simple and easy, Call (800) 828-7086 or schedule online 24/7. How long can EtG/EtS be detected in urine? Traditional laboratory methods detect the actual ethanol in the body, which reflects current use within the past few hours (depending on how much is ingested). The presence of EtG/EtS in urine indicates that ethanol was ingested within the previous 3 to 4 days, or approximately 80 hours after ethanol has been ingested. Therefore, EtG/EtS is a more accurate indicator of the recent ingestion of ethanol than measuring for the presence of ethanol itself. How accurate and reliable is the EtG/EtS test? EtG/EtS are direct metabolites of alcohol (ethanol), and their detection in urine is highly specific, similar to testing for other drugs. Add to this, RTL utilizes the most sophisticated, sensitive, and specific equipment and technology available. After first screening for presumptive positives, we quantitatively confirm EtG/EtS by LC/MS/ MS (liquid chromatography/mass spectrometry/mass spectrometry). This combination of separate screening and confirmation methods provides highly accurate alcohol biomarker test results. As is the case with any laboratory test, it is also very important to obtain clinical correlation.